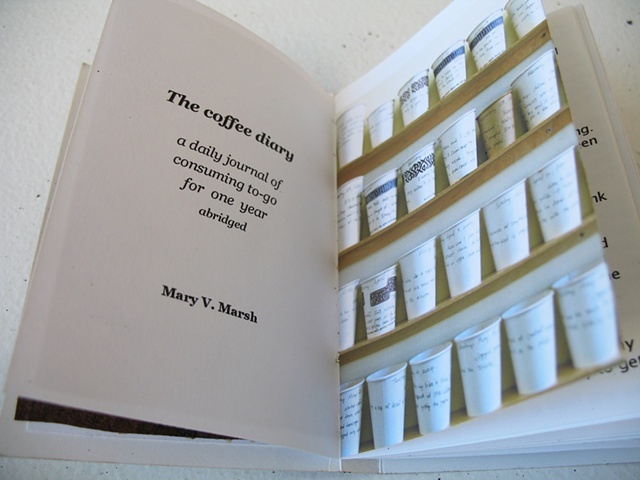 A book about The Coffee Diary a daily journal of buying coffee to-go written on 347 paper cups. With each coffee purchased in 2004, I recorded the date and what I did while drinking it. The book features selections from the journal entries describing routines and events centered around getting coffee while doing other things. Illustrated with drawings made with coffee on library checkout cards.